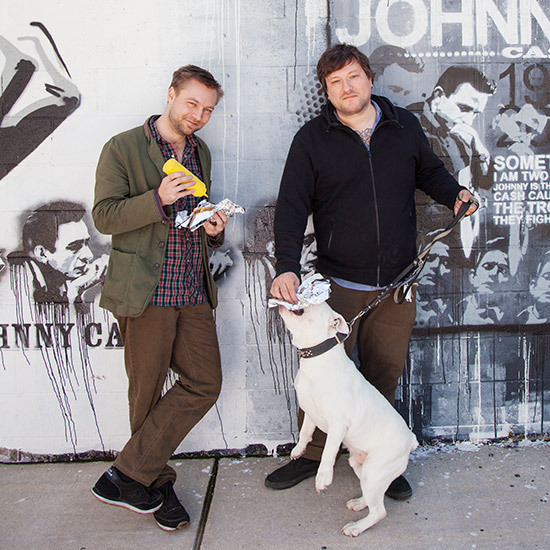 F&W has been naming Best New Chefs for 25 years, helping turn up-and-comers into superstars. Here, we highlight a mega-talent from each year, with recipes that prove deliciousness is timeless. Produced by Kate Heddings. Profiles by Pamela Kaufman with Kate Krader. 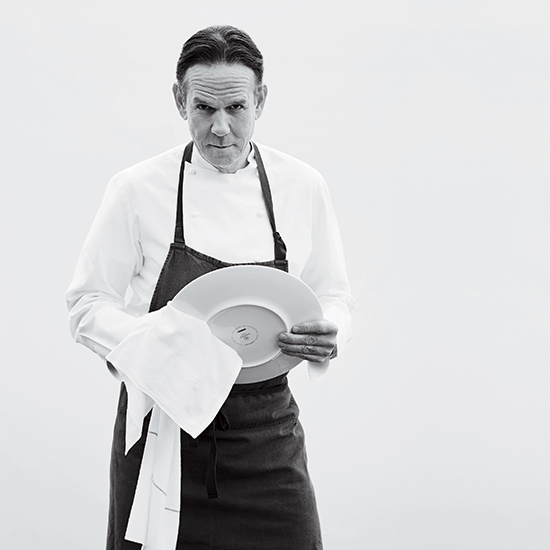 Thomas Keller may be America’s most inspiring chef, a hero to professional cooks as well as to kids headed for culinary school with The French Laundry Cookbook in their bags. At The French Laundry in Napa Valley and Per Se in NYC, he creates hyper-elegant yet playful dishes, as in his Oysters & Pearls: a sabayon of pearl tapioca with caviar and oysters. At Ad Hoc in Napa Valley and his five Bouchon Bakeries, he approaches rustic food like fried chicken and quiche with the same passion for every possible (and inconceivable) detail. 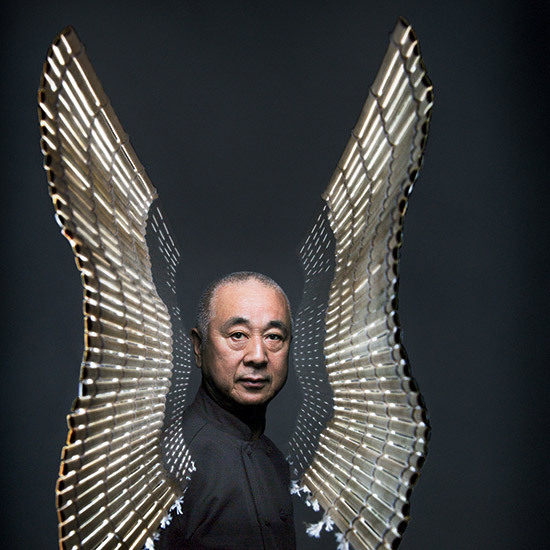 Nobu Matsuhisa has changed how the world thinks about Japanese food. Rigorously trained in classical sushi-making techniques in Tokyo, he came up with his no-rules style while working in Peru, adding global flavors to raw and cooked dishes in a way that was radically inventive. Already presiding over 26 Nobu and Matsuhisa restaurants with business partners Robert De Niro, Drew Nieporent and Meir Teper, he recently launched the Nobu Hotel in Las Vegas (more locations are in the works). Here, he poses with two glowing sushi-rolling mats, graceful as wings. 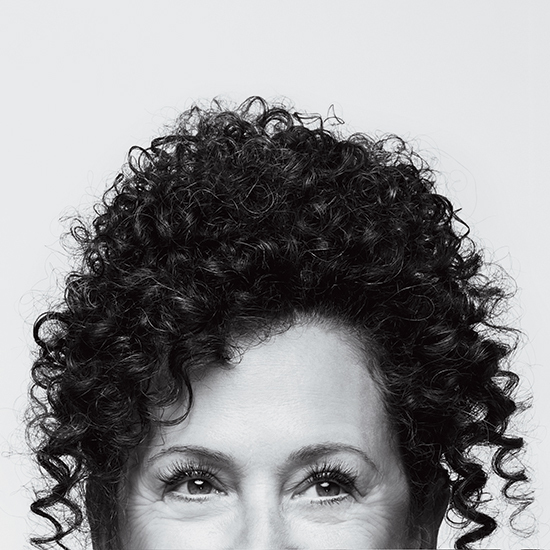 By launching La Brea Bakery in Los Angeles in 1989, Nancy Silverton helped turn Americans on to the possibilities of really good bread. In the late ’80s, most of us were content with pale, soft, squishy loaves; Silverton, the gifted pastry chef and co-founder (with Mark Peel) of Campanile, helped change that by introducing the tangy, crisp-crusted, all-natural sourdough breads she’d eaten in Europe. 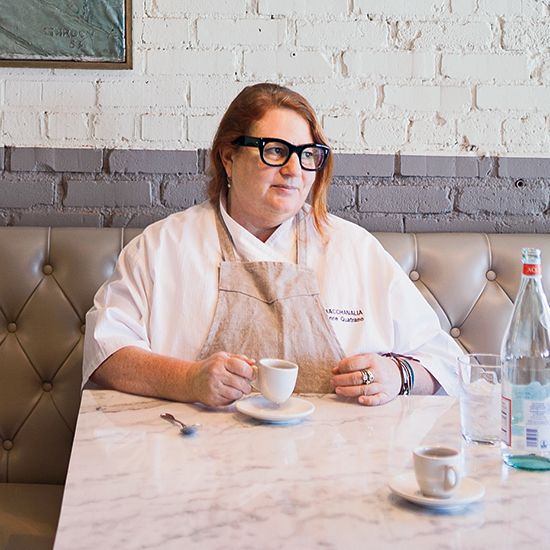 Silverton’s love of bread and Italian food is obvious at Pizzeria Mozza and Osteria Mozza in L.A., where she rules the mozzarella bar and creates fantastic dishes like a zesty Kale Salad with Ricotta Salata, Pine Nuts and Anchovies. 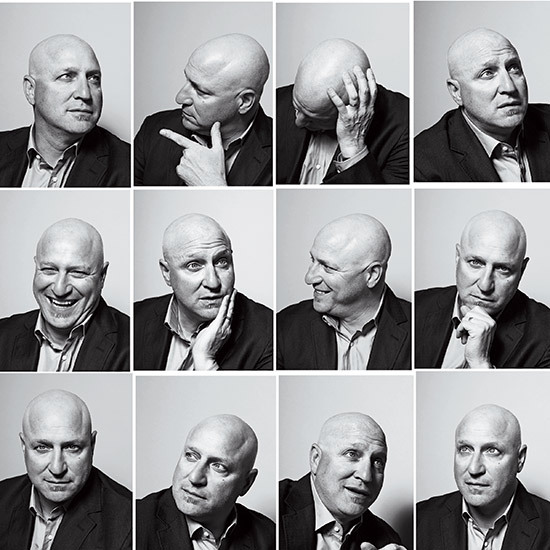 Tom Colicchio has become the food world's conscience, the chef who other chefs trust for his unvarnished opinions. Whether running his New York City-based Craft empire or appearing as head judge on Top Chef, Colicchio sincerely wants to teach and promote good cooking. He also leads by example, creating dishes with clean, assertive, streamlined flavors. 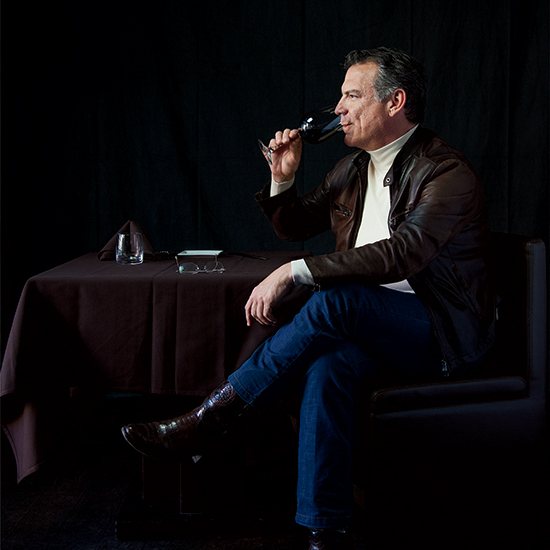 His debut menu at Craft, which let diners choose their protein, sauce and accompaniments, epitomized his point of view. Colicchio is also inspiring for his work to fight hunger and nourish kids, testifying before Congress in 2010 in support of school-lunch reform and serving as executive producer for the documentary A Place at the Table. 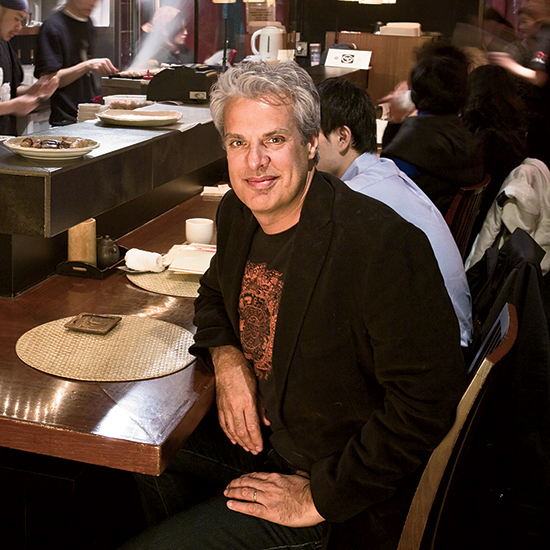 Eric Ripert of New York’s Le Bernardin is America’s most brilliant seafood chef. He sources the best fish, cooking it with astonishing technique or leaving it raw or semi-raw, as its flavors dictate; then he devises deft sauces that reflect his fascination with Latin America, the Caribbean and Asia. A million food fads have come and gone since Ripert arrived at Maguy and Gilbert Le Coze’s Le Bernardin in 1991, yet he has continued to stay relevant, grow creatively and maintain the highest standards— a near impossible accomplishment. Nancy Oakes has an innate understanding of what San Franciscans like to eat, creating big, appealing flavors using French technique, California ingredients and American style. Oakes got her start cooking at a commune, becoming a Best New Chef at Boulevard in the early '90s—a time when female chefs were transforming the food scene in the Bay Area (her peers include Judy Rodgers). Oakes's food still seems fresh and modern, as in a recent dish of ahi tuna tartare with cashew-piquillo hummus and pickled kumquats—sophisticated comfort food from a beloved chef. Yucca, sofrito, all manner of chiles, live-fire cooking: The Nicaraguan-born chef Michael Cordúa helped introduce these now-ubiquitous Latin flavors and cooking methods to the United States at his first Houston restaurant, Churrascos. His recipe for grilled steak with chimichurri sauce, is his most iconic, though his Amazon chicken breasts, crusted with crushed potato chips and paired with a cilantro sauce, continue to be a favorite on foodandwine.com. They're proof that Cordúa, who now operates seven Houston-area restaurants with his son, David, has a talent for creating delicious flavors that transcend trends. 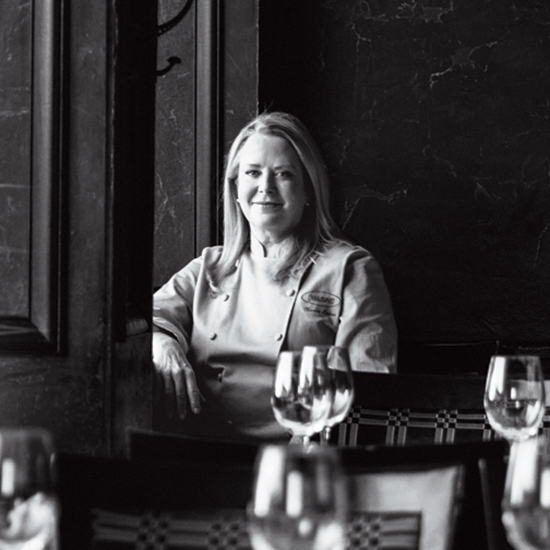 When she opened Bacchanalia in 1993, Anne Quatrano took on Atlanta's stuffy fine-dining scene, becoming a leader in the New Southern food movement. Much of her success is due to her genius in spotting fantastic ingredients—or, when necessary, growing them herself. She remains one of America's best ingredient scouts, sourcing the most delicious cheeses and produce for the restaurants she runs with her husband, chef Clifford Harrison, which now include Floataway Cafe, Quinones and Abattoir. The superlative Star Provisions market also reflects Quatrano's eye for style and design. 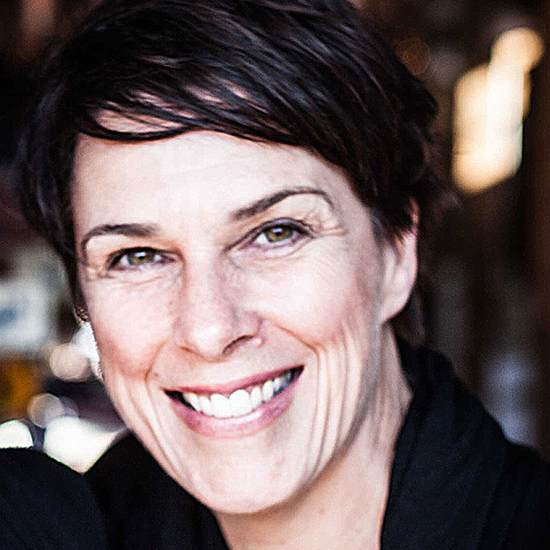 Barbara Lynch began her career as a Todd English protégé, then traveled around Italy learning how to make pasta from nonnas. Today she runs a Boston food empire notable for its breadth. There are restaurants: the lovely Italian-French No. 9 Park, the luxe Menton and counter spots Sportello and B&G Oysters. And there’s also Drink, one of America’s best cocktail bars; The Butcher Shop, which doubles as a wine bar; and Stir, a demo kitchen and cooking school. It’s hard to think of another American chef who focuses so hard and well on so many kinds of projects. 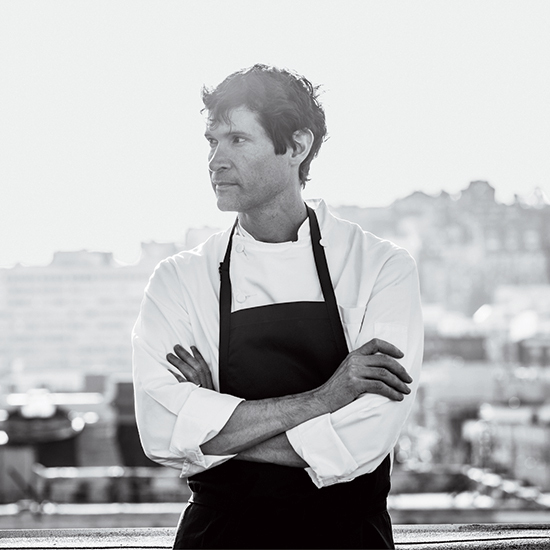 Daniel Patterson of San Francisco’s Coi is a chef other chefs like to watch. It’s a testament to his creativity, influenced by avant-garde methods, classical techniques and naturalist thinking (he's deeply interested in foraging and finding new ingredients in the wild, or even along the side of the road near his house). F&W discovered this self-taught chef in 1997, when he was in his twenties yet cooking with incredible refinement at a little restaurant in Sonoma, long before innovative cuisine had infiltrated that corner of wine country. Today, Patterson is on the short list of global chef superstars. 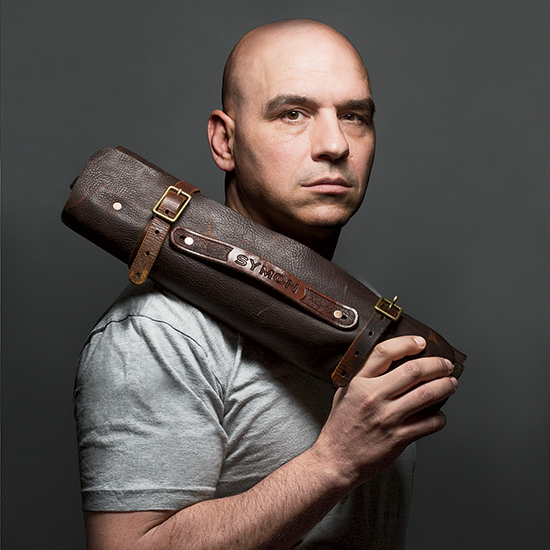 Thanks to Iron Chef and the talk show The Chew, Michael Symon has become one of TV's most visible chefs. He's also one of its most likeable, representing Midwestern integrity and the hometown hero. This Cleveland loyalist believes in the power of pierogies, like the ones he fills with beef cheeks at his flagship restaurant, Lola—a graceful take on his city's favorite food. Another one of his Midwestern touchstones: his creamed corn with bacon and lime zest. 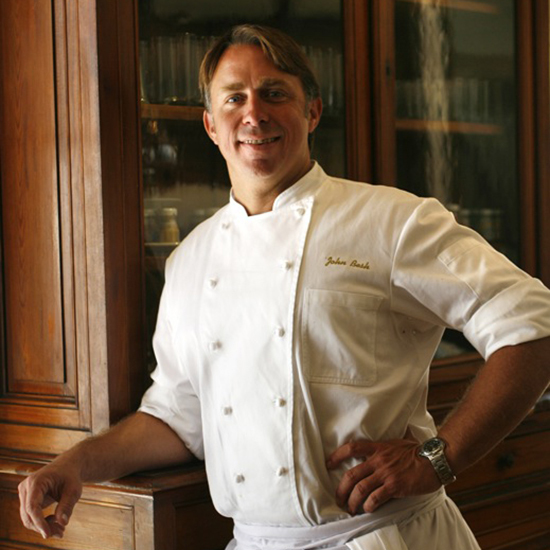 Before Hurricane Katrina, John Besh was simply one of New Orleans's most successful chefs, an ex-Marine with an opulent French-inspired restaurant called August that won him awards. But thanks to his extraordinary post-Katrina efforts to feed relief workers and help his own employees through the crisis, he has come to embody New Orleans and its spirit of resilience. Today, Besh has nine restaurants, all focused on southern Louisiana ingredients and culinary traditions, plus the John Besh Foundation, which is devoted to supporting the New Orleans food community through scholarships, grants and loans. New York City chef Andrew Carmellini has an exceptional depth of culinary knowledge that, combined with his drive to achieve perfection, translates into dishes that start trends. Classically trained at Café Boulud in Manhattan, he becomes a student of whatever cuisine captures his imagination: rustic Italian at Locanda Verde, regional American at The Dutch and French in the grand café style at his newest restaurant, Lafayette. Whether he's making lamb-meatball sliders or a sheep's-milk ricotta to spread on toast (two deceptively simple dishes at Locanda Verde), Carmellini has figured out how to make diners care about food they might otherwise take for granted. 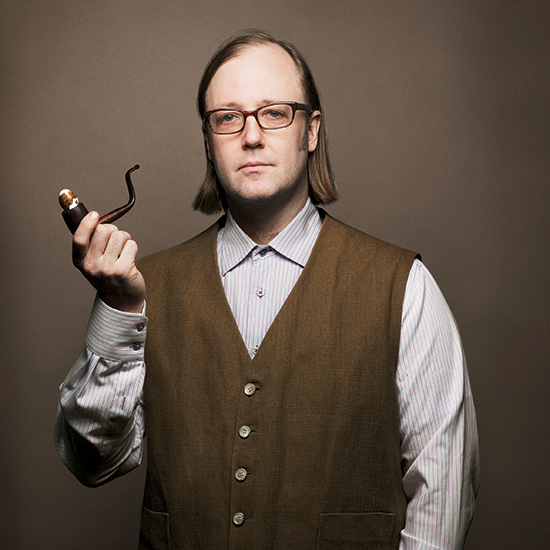 Wylie Dufresne of New York City's WD-50 is the face of molecular gastronomy in America. 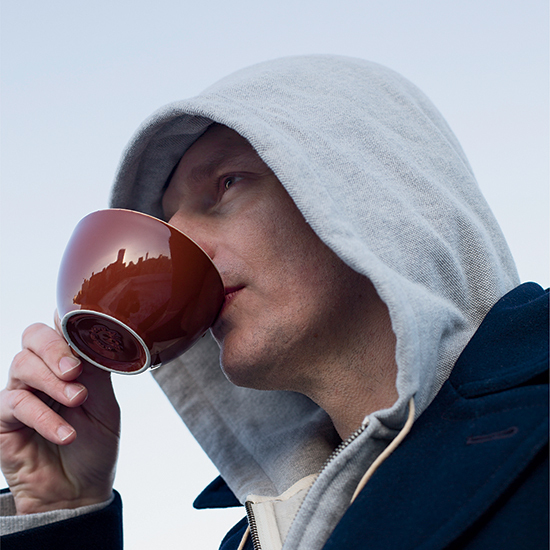 He uses scientific tools and materials to produce witty, complex, often challenging dishes. Some are edible puns, like his Peas 'N' Carrots (the peas are tiny carrot balls in green-pea powder) and Pho Gras, combining a crystalline beef broth clarified in a centrifuge, a round of foie gras terrine and a garnish of sous vide beef tendon fried until crunchy to mimic chicharrónes. With Alder, his new spot, he interprets the gastropub trend the Wylie way, offering a clam chowder with oyster crackers made of actual oysters. 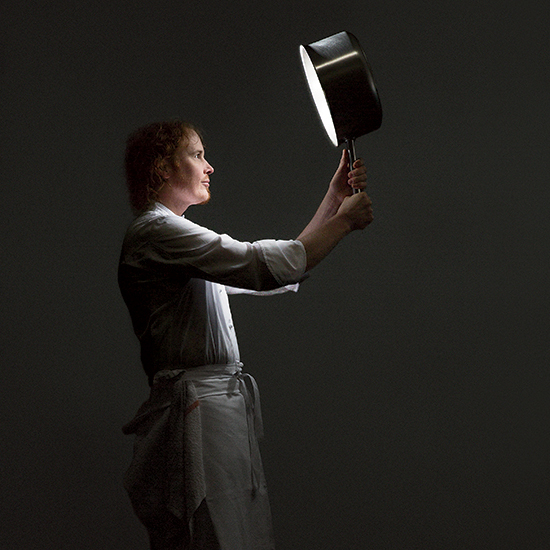 When he opened his Chicago restaurant, Alinea, in 2005, the modernist chef Grant Achatz redefined the restaurant experience by challenging some very basic conventions of dining. He asked, Why does food have to be just one temperature? It doesn't, he replied, serving a soup called Hot Potato/Cold Potato. He asked, Why do you have to eat with a fork? You don't, he declared, creating custom-built devices for specific recipes. His fascination with visual surprise and the power of scent makes for thrilling sensory experiences at Alinea, The Aviary cocktail bar and Next, which sells tickets to themed dinners. 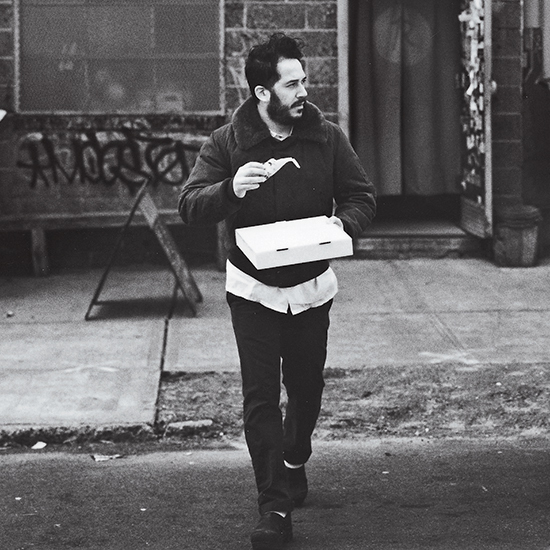 Stuart Brioza has a sixth sense for finding the deliciousness in every kind of food he makes. 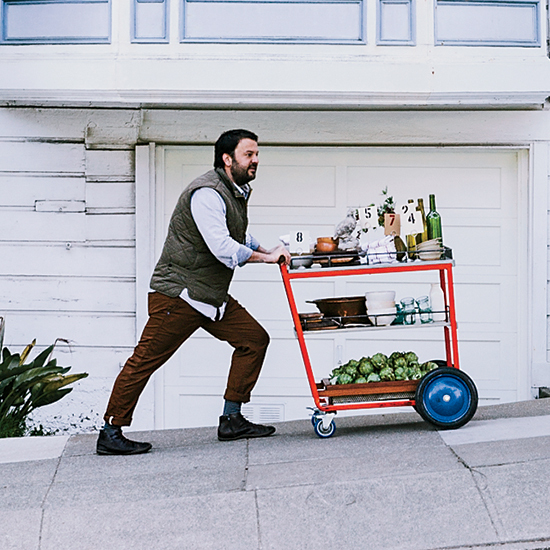 At the idiosyncratic State Bird Provisions in San Francisco, he brings a freewheeling American attitude to the Chinese dim sum experience, serving globally inflected small plates, both from a menu and from roving carts. Dishes like guinea hen dumplings in broth and raw oysters with spicy kohlrabi are quiet works of genius. Next up for Brioza and his pastry-chef wife, Nicole Krasinski: The Progress, which is due to open early next year in the same turn-of-the-century building that houses State Bird. A lobster corn dog: It’s the dish Graham Elliot makes every year as the culinary director for the Lollapalooza music festival in Chicago, and also a recipe that shows his whimsical high-low style. 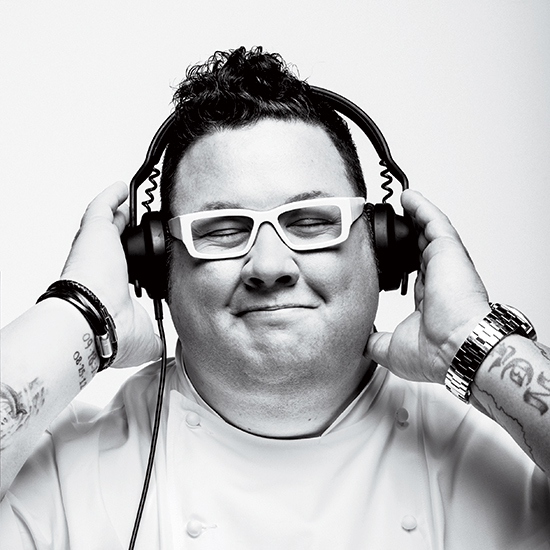 When he isn't pumping up Lollapalooza's food cred by selecting great vendors or running his own sandwich joint, Grahamwich, the Charlie Trotter protégé oversees the Michelin-starred Graham Elliot. For F&W, he shows his understanding of the home cook, too, with a recipe for a vibrant, fennel-accented pea soup. 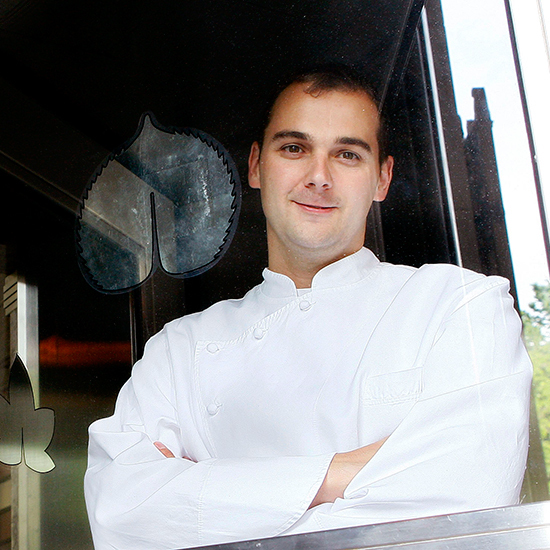 Swiss-born chef Daniel Humm is an idea machine. At Manhattan's Eleven Madison Park, he received the kind of accolades every chef dreams of. Then he and his business partner and creative collaborator, Will Guidara, decided to take a risk and rethink the whole experience. Today, Eleven Madison is as much about drama as phenomenal food: a carrot tartare ground table-side, a table-top clambake, a liquid-nitrogen cocktail served in the kitchen. At the NoMad, Humm also produces showstoppers like a whole chicken for two packed shamelessly with truffles—perhaps the most luxurious roast chicken in America. 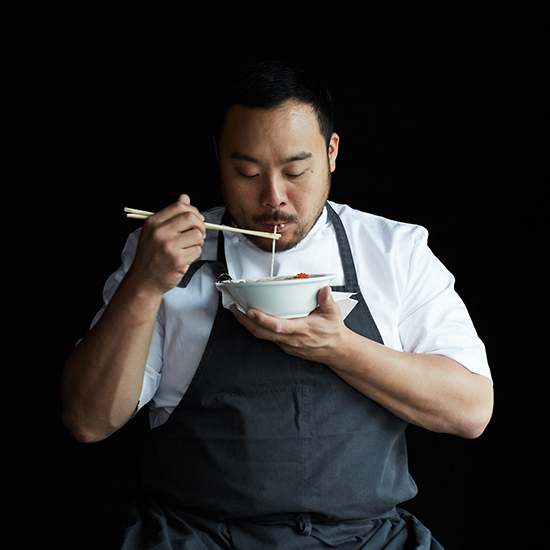 When David Chang opened Momofuku Noodle Bar in Manhattan in 2004, it seemed bizarre that a chef who'd worked for a luminary like Daniel Boulud would want to run a ramen joint. Yet with his driving desire to serve the best ramen he could, he invented a new kind of hip-yet-elevated restaurant. Since then, Chang has expanded his NYC empire, earning two Michelin stars at Momofuku Ko; recently, he opened Momofuku outposts in Toronto and Sydney. Meanwhile, at his culinary lab in Manhattan, he continues to explore new ways to create umami, part of the ongoing Momofuku experiment. If any city loves an indie sensibility, Portland, Oregon, does. 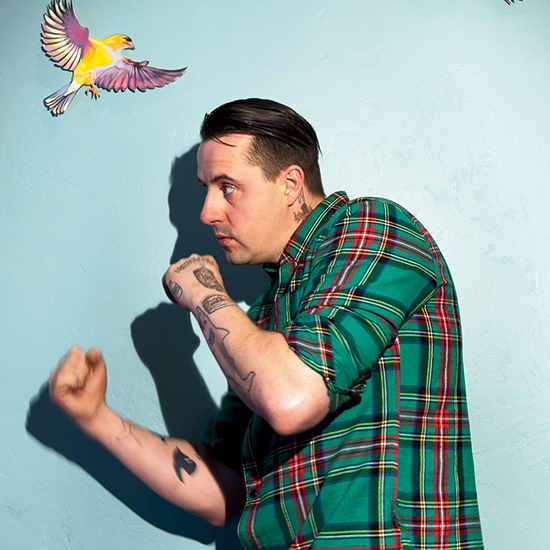 And one chef who helped shape the city's proud indie identity is Gabriel Rucker of Le Pigeon. Brains, tongue, lips, feet—Rucker uses all kinds of animal parts in French-American dishes, such as squab-head soup. Even salads like his escarole hearts with pickled squash and sage dressing have that I'll-do-what-I-want attitude. It has made Le Pigeon one of Portland's toughest reservations, and has also spawned a cookbook, Le Pigeon, out this fall. A bistro offshoot, Little Bird, is more traditional; but, with dishes like snail tortellini, it still has the Rucker vibe. 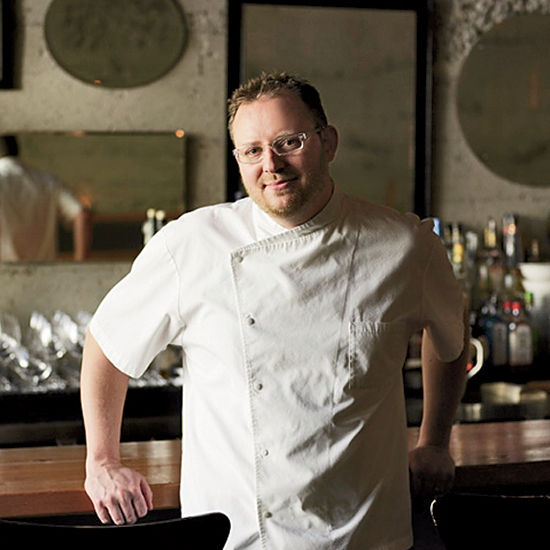 Seattle chef Ethan Stowell has declared, "I want to be more Italian than anyone else in town." He has achieved this with no fewer than six exceptional Italian restaurants. Stowell owes his success to a willingness to rethink not just the food at each of his places but also the entire dining experience, from communal and loud (Tavolàta) to intimate and den-like (How to Cook a Wolf). 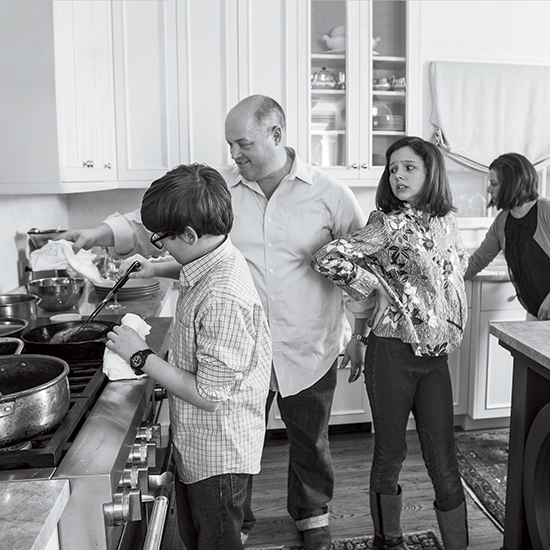 Atlanta chef Linton Hopkins (at home with his family, photo) is the ultimate Slow Food chef—albeit one who cooks heritage-breed pork with an immersion circulator. So committed is he to Southern tradition and local growers that he helped found the Peachtree Road Farmers Market down the road from his flagship, Restaurant Eugene. His Slow Food principles are very much in evidence at his H&F Bread bakery, H&F Bottle Shop and Holeman & Finch Public House gastropub. The last is famous for its burger, freshly ground from locally sourced beef and available to just 24 customers a night—and now also to Braves fans at Turner Field, thanks to a brand-new concession stand. With Los Angeles's Kogi BBQ fleet, Roy Choi showed that it was possible for a chef to prepare remarkable food in a truck. His signature dish, the kimchi taco, also created a new genre of urban cooking that references the many ethnic cuisines of his city—honoring both his Asian heritage and the Mexican grandmas who set up sidewalk grills late at night to feed L.A.'s club kids. With his brick-and-mortar restaurants, Choi continues to come up with intriguing new ideas: chef-y rice bowls (Chego), Asian-fusion picnics (A-Frame), West Indian meets Korean (Sunny Spot). His latest project: working with the owners of New York City's NoMad Hotel for a new property in L.A.'s Koreatown, The Line Hotel. When he opened Roberta's in 2008, Carlo Mirarchi helped pioneer the concept of the chef-driven Brooklyn restaurant. Working out of a ragtag compound that now encompasses a radio station and a farm planted in repurposed shipping containers, the self-taught chef offers customers a choice between fantastic pizzas from an Italian wood-fired oven or dishes worthy of a Michelin-starred tasting menu—or both. At his tasting-menu-only offshoot, Blanca, diners sit in captain's chairs at a 12-seat counter, pick records to play on the turntable, check out the enormous mounted tuna head on the wall and watch Mirarchi and his team prepare a meal of about two dozen courses. It's a one-of-a-kind dining experience. Josh Habiger (left) and Erik Anderson, The Catbird Seat's co-chefs, trained in some of the best kitchens in the world—Habiger at Alinea and The Fat Duck, Anderson at The French Laundry and Noma. Yet they've made their home in Nashville, where not many restaurants aim higher than meat-and-three. Working behind a U-shaped counter that seats 32, they hand plates directly to customers—ambitious yet approachable dishes like maple-and-thyme custard served in an eggshell with bacon crisps and a drizzle of barrel-aged maple syrup. Here, their Tea-Brined and Double-Fried Hot Chicken, a smart take on Nashville's famous hot chicken.